Worker-friendly workplace and environmentally friendly surroundings for staff members and families. 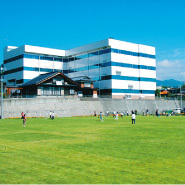 We are focusing on creating an ideal working environment for our staff members and families, including Turf sports ground where we hold ball game tournaments as an interaction activity of staff members. 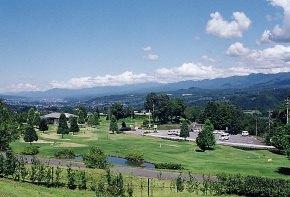 Also rich natural environment surrounded by Middle and South Japanese Alpine gives you healthy outdoor amusement place where you can enjoy Camping, Fishing, and Rafting during your holiday. 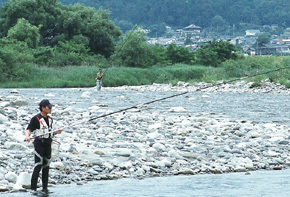 Fishing at Tenryu-River, 10 min drive from company site. 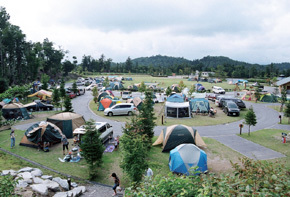 Various auto-camp sites are available within 30 min drive from company site. 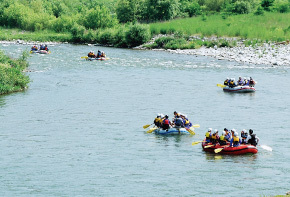 Rafting in Tenryu-River, 5min drive from company site. 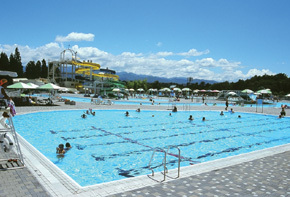 Aqua pool, located in large public sport park is only 3min from company site. 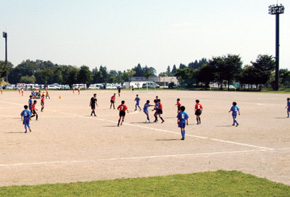 Soccer and football can be enjoyed in the public sport park only 3 min from company site.